Is your sales process delivering the ROI that you expect? According to TOPO Sales Benchmark, 59% of companies lack a well-defined sales process. A good sales process moves prospects to a final purchasing system. Excellent Customer service is the only key for the growth of the company. By delivering top-notch services to the customers will reduce customer churn rate and impacts sales. Building an effective sales process will create relationships between company and customers. The streamlined sales process will boost productivity and improve sales efficiency. The Sales process consists of well-organized steps that enable your sales team to close more deals, increase margins and make more sales through referrals. How do you feel watching an increasing sales graph? It feels great. Right? But, the challenge is to maintain the same rate of growth Analyze recently closed deals at your organization. Define the main steps, customer touch points involve the length of the entire process and the time between steps. To implement a well-organized plan, first you need to understand the mathematics behind it; analyze data to put in a probabilistic method, which can make a pattern and, show the right direction. Exact reasons for selecting your products or services. Quality leads, who selects you and, others who don’t. Timing, when people need your service and when they don’t. Product assortment, what to keep and, what to leave. The number and, the size of the deals in your sales pipeline. 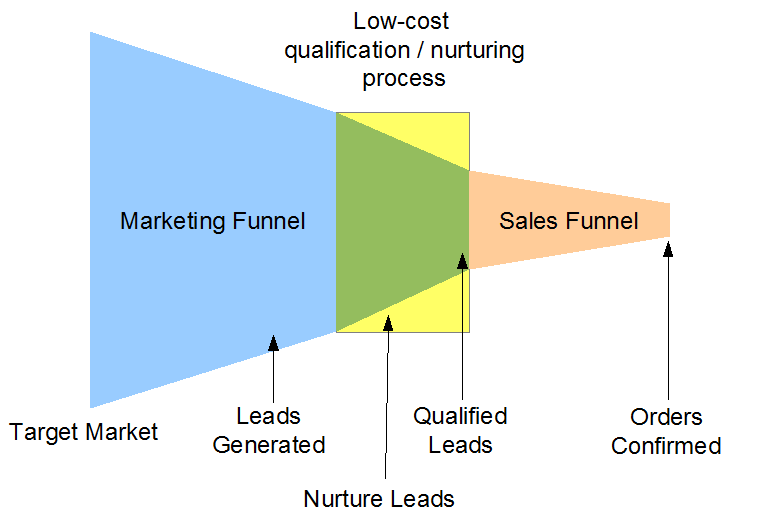 Visitors’ ratios from the top to the bottom of the sales funnel to become potential buyers. Time to convince new leads to make successful deals. The number of live communication tools has rapidly increased. Businesses can improve their customer communications with a wide variety of technologies like chat and messaging services. So choose wisely. Ask yourself, what is the best tool for lead generation? There are yet many companies who are using outdated technology that can leave both their customer service team and customers frustrated. Live chat communication tools have the potential to top any list in this niche. And, when it comes with other features like screen-sharing, co-browsing and, all of the above CRM, it’s as good as a precious diamond upon a gold ring. Acquire software is offering you all of these in one platform, of-course within a happy budget. Statistically, features like voice calling and, video conferencing build the bridge of trust for new visitors, while screen sharing and, co-browsing hold the trust safely by temporary tracking client pages and, there is CRM to save customer details. Lead qualification is kind of a ‘matchmaking’ service. Ask questions; put the right ones in the bunch. Weigh the answers and, strain them out who are best fitted for you. That’s how you can value your and, your leads’ time. Now, what aspects do you need to know? Budget- Will they be able to afford your product or service or not? If yes, are they willing to spend that amount or not? Authority- do they authorize to buy on company’s behalf? Need- what are the circumstances creating their necessity for your service? In that case, it is important to know, what are they really expecting from you and why. Time- do they have got time for your trial? Is there any urgency for your service and, why? If not, when are they willing to buy? These will help your sales reps to complete a process successfully. This is the most important step to convince your leads for your service. Use live communication tools like Acquire, build trust by contacting through personal voice calling or, video chatting. Open yourself lightly and, let them be an open book for you about their company backgrounds, rocks and, roses they have gone through, past and, present challenges, urgency, expectations, all you need to understand is their necessity for your product. By proper knowledge, you may reflect some issues they have not contemplated before, which you can solve. After that, connect your product knowledge with their needs; not the general technical knowledge but, the features specified only for their solutions, the uniqueness of your products compared to others and, how beneficial your product is. Why do customers come to you? To gain some advantage, this is where you show what you have for them. After the needs assessment, it is easier to judge your viewers’ perspective and, build your sales process through this approach. Your products or, services may have many brilliant features but, not all are useful for your present visitors. Pinpoint their needs and, end up with your solutions and, their uniqueness. This will help you to make a strong mutual correlation. Creating a new relationship is the easy part but, to maintain the same on a long run is the hardest. I’m talking about ‘customer retention’. It will not always be the same if you are not nurturing the relationship. This is where you need the best customer service you can come with. This one is the most crucial, but a bit ignored part. Thus, all your efforts will go waste if you are not taking it seriously. It can harm your reputation, trust and, it may lead the new ones going backward. To value your existing customers’ issues and, solving the confusions of the new ones, voice calling and, video chatting work best in Acquire live chat tools. Also, CRM helps you to keep track of customer details to perform your best. A recent study for the Harvard Business Review shows that 71% of qualified leads are not pursued by and, who are not in this group, followed only 1.3 times. That’s frightening because, a high tenacity is required for your prospects to lead them to purchase. Also, after a closure, a promising treatment encourages the returning customers to purchase again and, pulling in new leads for you. Finally, I would say, the best and fastest way to improve overall marketing results and revenue is by developing or building a standardized sales system. If all the steps in the sales process are placed methodically in your business, you’ll be thrilled with your striking high conversion rates.